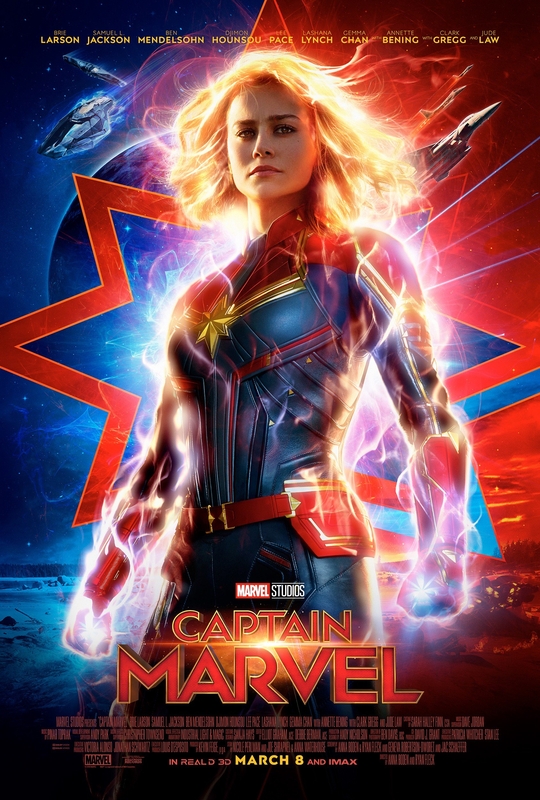 This entry was posted in Live Action Movie Reviews, Live Action Movies, Reviews and tagged Action, Brie Larson, Captain Marvel, Clark Gregg, Film Review, Kree, Marvel, Marvel Cinematic Universe, MCU, Movie Review, Review, Samuel L. Jackson, Sci-Fi, Skrull, Stan Lee by dreager1. Bookmark the permalink. The song that played during one of the ending battles was a little too much for me. I mean, c’mon, that was so… cringy. I had high hopes for this film with End Game looming on the horizon, but I feel like it went by too fast. The pacing was fast and didn’t drag on, yes true enough, but it could have moved a little slower for my liking. All in all, it was exactly what I thought it was going to be, and I’m okay with that because it was good. The “MCU Formula,” as many like to call it now, was executed in a mostly okay fashion but I think they should use stronger foes in the next film. Kree are okay, but I never had the feeling that she was going to lose, and a fights felt more like “how will she use her powers to defeat this thing?” Not really like she had to use another advantage to win. I mean, the only real foe who can go toe to toe with her right now only seems to be Thanos himself, which sounds like a promising prospect in the near future. Overall, great review, and keep up the great work! I can definitely see how the song could be over the top. Certainly if I didn’t enjoy the beat I wouldn’t have liked seeing there as well. For sure she didn’t have much of a threat here but that’s why it’ll be interesting to see how she looks in End Game. Honestly after this portrayal of strength she should dominate most of the cast.